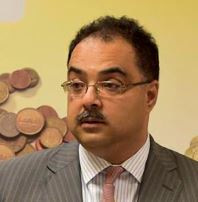 Zafar Masud, director general of Pakistan’s Central Directorate of National Savings, is a career banker and finance expert who served in top positions at major international banks in both Pakistan and abroad. Mr Masud has established a solid track record in corporate banking with an emphasis on cash management and investment banking. He has a keen interest in raising capital for sustainable development via innovative instruments such as sukuks. He initiated and coordinated the launch of two listed sukuks in Pakistan. One of these sukuks made history as the first ever private sector triple A rated sukuk placed in the country. The sukuk aims to encourage non-traditional investors to enter the market. Mr Masud has worked extensively with multilateral institutions of large investors. He also boasts significant experience in working directly with governments and state entities. This allows Mr Masud to appreciate and navigate the complexities of large governmental organisations and find solutions that fit seamlessly with their particular needs. Mr Masud was a founding partner of Burj Capital, a firm specialised in Shariah-compliant financing and corporate restructuring. As a regional managing director of Barclays Bank, he was responsible for operations in Southern Africa. In that role, Mr Masud provided leadership to an organisation with around 4,000 employees and a balance sheet in excess of $3bn. Whilst in Southern Africa, Mr Masud converted the standard commercial bank he managed into one of the region’s leading consumer and investment banks. He upped the bank’s performance significantly by focusing on corporate and treasury management – improving the business’ ratings in the process. Prior to being sent to Africa, Mr Masud was employed by Dubai Islamic Bank – a globally recognised pioneer in Shariah-compliant financial services. Currently, Mr Masud helps the Pakistan government attract foreign investors to the country. He was instrumental in securing a number of large deals such as $375m for a large port expansion project, $150m for a palm oil processing facility, and $100m for upgrades in the financial sector. Mr Masud has helped a number of global companies establish a presence in the country such as a FMCG corporation and a leading cosmetics company. At Citibank, Mr Masud had a seat on the country management committee and was entrusted with handling the bank’s government and public sector business. Between 1999 and 2005, he was involved in a number of large deals such as the placement of the government’s first-ever sukuk for $600m. He also brokered a $350m deal between the US EXIM Bank and Pakistan International Airlines (PIA). Between 2013 and 2016, Mr Masud sat on the board of directors of the State Bank of Pakistan. He also served on the Constitutional Independent Monetary Policy Committee. Additionally, Mr Masud is an active member of the board of directors of Oil and Gas Development Company where he leads the risk management sub-committee.